Midlothian Private Hire Taxis are a local premier private hire taxi service. We provide a professional Taxi service at a competitive price and are pre-bookable 24 hours a day, 365 days a year. Airport meeting and greet service can be provided. 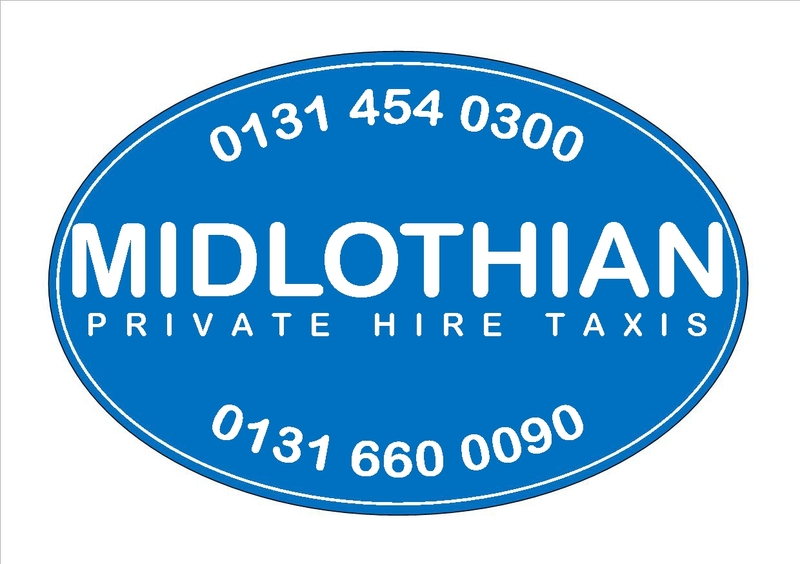 Midlothian Private Hire Taxis are well known throughout the local area, and our polite, friendly staff are always on call to answer your questions and queries whatever they may be. Please call for more information. Our booking system accepts all major debit and credit cards including American Express. We operate a wide variety of vehicles which are always well presented and rigorously maintained inside and out, with licensed drivers to take care of all your travel needs. We are here to make your life easier, please call or email any questions or to book your journey. What could be easier?